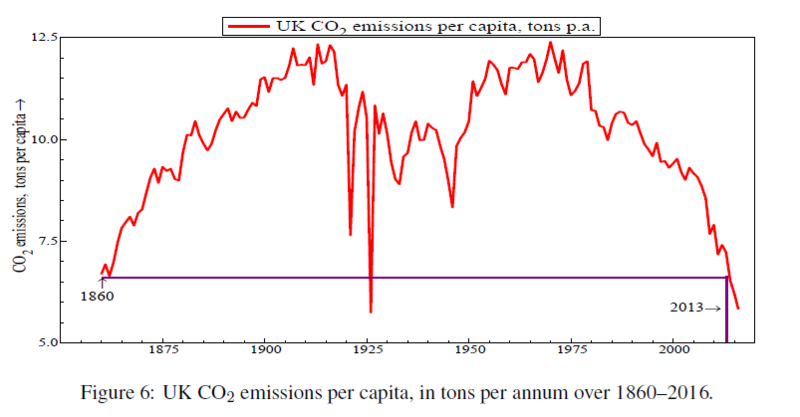 Hendry reports per capita UK CO2 emissions, “which rose considerably till 1916, fluctuated violently till 1950, and have dropped dramatically since 1970” (see Hendry, 2017b). 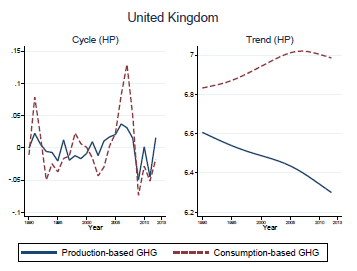 My working paper with Gail Cohen, Joao Jalles and Ricardo Marto shows how production-based emissions and consumption-based emissions differ in the UK. Both the cyclical components and the trend components are shown in the figure below.